Fans looking forward to GTA 6 may have a while to wait, but this GTA doppelgänger may serve as a baseline for what players can expect GTA 6 to look like graphically! Have you ever wondered what Grand Theft Auto would look like being developed on the Unreal Engine 4? Perhaps you’ve wanted a glimpse at what Grand Theft Auto 6 will look like? While GTA 6 has no set date for a release or any real public plans for reveal any time soon, we may have an adequate indie comparison that could showcase where the graphics end up at in the future. Developer Chevarria Arts has been hard at work on a GTA clone called AQP City. The game has been in development on the Unreal Engine since 2012.While the game may look and feel a lot like GTA, that’s for a reason. The development team was heavily influenced by the likes of Rockstar’s GTA and Red Dead Redemption titles. The project has no official release date and would only be available on the PC but for near five years of work, the game looks pretty solid and a game that could attract many players. Whether or not it would be a classic with a player population of a large number or becomes simply labeled as the “GTA Rip-off” remains uncertain. Regardless though, the title can serve as a stepping stone for what we may see in the future. 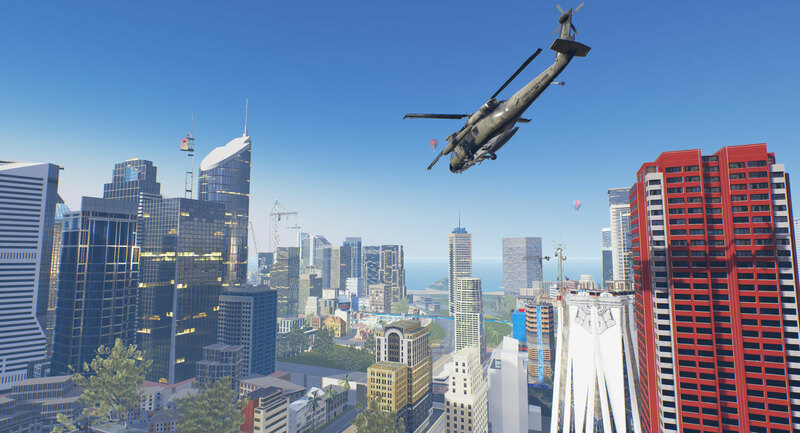 The Unreal Engine has produced an enormous amount of classics in the gaming world and is universally known for its photorealistic capabilities so while you may have never heard of AQP City, the screenshots and imagery from the game can serve as perhaps an indicator of all things to come graphically in GTA 6. GTA 5 was made entirely on the RAGE (Rockstar Advanced Game Engine) game engine, but that was previously never a real thing. RAGE was an evolution of a many number of working parts that by the time of the development of 5 was insisted upon being used as one solid force. Previously, RAGE was a piece of a basic rendering engine here, a physics engine there, and so on. For the development of GTA 5, Rockstar became more than a palette of tools for development and instead was introduced as a full immersive engine to run the game overall. With that in mind, should we expect a switch to Unreal Engine 4 for GTA 6? Absolutely not. The part that is absolutely insane when looking at games developed on the Unreal Engine is that the graphical capabilities seem to be years ahead of the competition, consistently. The Unreal Engine is known for how pristine images will look, how realistic and accurate imagery is. RAGE is rather a standard game engine, nothing incredibly special about it compared to others; no doubt the visuals are stunning in their own regards but they don’t stack up to Unreal quality renders. So if we’re comparing apples and oranges, why discuss this comparison to what GTA might look like in the first place? That’s because GTA 6 probably won’t launch until at least (rough estimating) 2020. 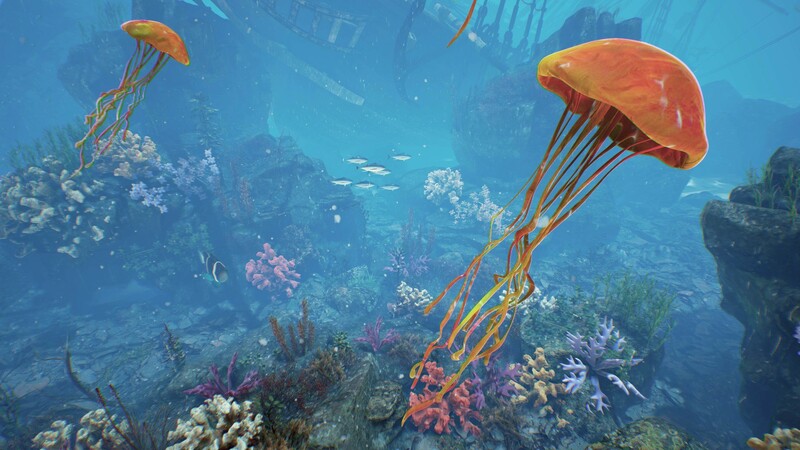 That means development is happening right now and into further years, which is additional time for graphical standards and toolsets to grow, increasing the chances of the graphical fidelity to be even more photorealistic than we may have ever imagined. If Unreal Engine is consistently years ahead of the competition, maybe this is where the standard engines will be at by 2020. The only thing is, it’s merely a guess. We have no definitive answer and for all we know, by the time GTA 6 rolls around, maybe it will look better than the presented counterpart, maybe it will look worse. The only way to really know is to see it ourselves, which sadly won’t happen for a good bit of time. 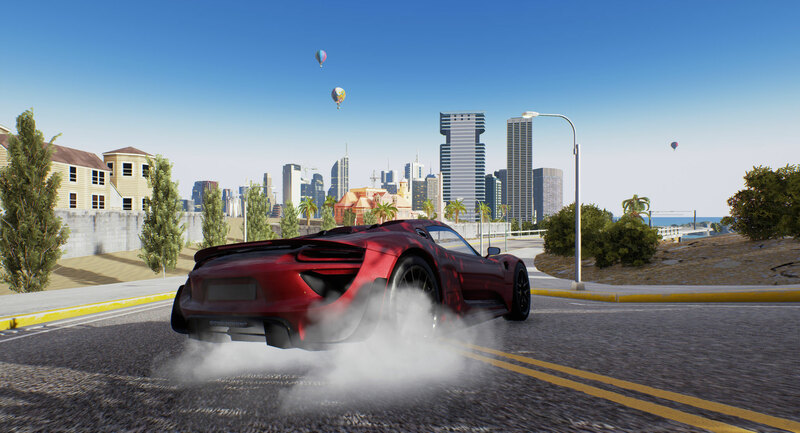 The introduction and public reveal of an otherwise doppelgänger of GTA in the likeliness of AQP City is a rare opportunity for fans and players though as we have a game that is nearly identical but built on a superior design standard. If AQP City ends up releasing this year, it will be interesting to see how the player base is received, if it can keep up and what the future would hold for the indie project and its development team. No doubt, if it gets enough mainstream attention, all eyes could be on this game as a sort of stepping stone for the GTA franchise and for what Rockstar may have up their sleeves next if they can match an indie team. The future remains uncertain but if AQP City’s graphics are any indication, that future (including GTA 6) is looking pretty good!